TWO NEW POLLS have backed the recommendations of the Citizens’ Assembly and rejected assurances by the Minister for Health over the new National Maternity Hospital. The polls were conducted by Amarách Research for RTÉ’s Claire Byrne Live and were revealed last night. Plans for the new National Maternity Hospital have provoked controversy after it was agreed that it would be on the site of St. Vincent’s Hospital and owned by religious order the Sisters of Charity. The Sisters of Charity own the site and are providing it without charge but the order’s ownership of the future hospital has led to concerns that Catholic doctrine will influence medical practices. 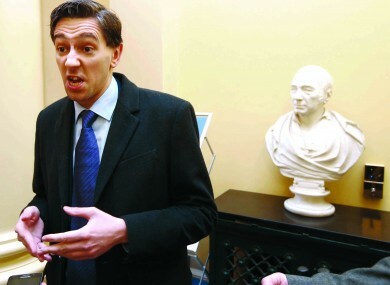 Minister for Health Simon Harris has sought to ease these concerns, saying that: “doctors and healthcare professionals make clinical decisions – nobody else”. Do you believe assurances given by the Minister for Health that there will be no Catholic influence over medical procedures at the planned new maternity hospital at St Vincent’s? The second issue people were polled on were the recommendations of the Citizens’ Assembly. The body recommended that Ireland’s constitutional ban on abortion be replaced with a provision that designates the Oireachtas to legislate for the termination of pregnancy, the rights of the unborn and any rights of pregnant women. It also recommended that the legislation should allow for the termination of pregnancy without restriction up to the 12th week of pregnancy. The Citizens’ Assembly was made up of 99 members of the public from various parts of the country and met for the first time in October. Do you agree with the Citizens’ Assembly that abortion, with no restrictions as to reasons, should be made available in Ireland? Following the recommendations of the assembly, Justice Minister Frances Fitzgerald has said that a referendum on the Eighth Amendment on the Constitution should be held next year. Email “Poll backs Citizens' Assembly on abortion but rejects minister's maternity hospital promises ”. Feedback on “Poll backs Citizens' Assembly on abortion but rejects minister's maternity hospital promises ”.